As the war in Iraq continues, the idea of being a soldier in wartime is of interest to many Americans. 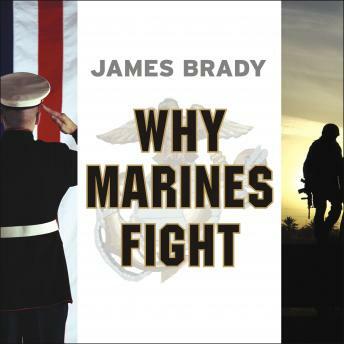 Why Marines Fight by James Brady is a ruthlessly candid book told in the words of U.S. Marines themselves, who answer provocative questions about what drives them to fight and why so competently and ferociously. For more than two centuries, U.S. Marines have been among the world's fiercest and most admired of warriors. This pounding look into the U.S. Marines is magnificent in scope and is written by an author whom some marines consider to be the unofficial poet laureate of their corps. Brady interviews combat marines from wars ranging from World War II to Iraq and Afghanistan, and records their responses in their own unique and powerful voices. These he crafts into an authentically American story of a country at war as seen throught he eyes of its warriors. Americans who experience Brady's chronicle of this part of a soldier's life and its lasting effect may find it impossible to forget.